Please Note: DVD is not included. Box includes a printed document with a link to download the installer and an install code. Master-detail layouts: Leverage the new portal enhancements to create common design patterns like master-detail layouts. Eliminate the need to create self-join relationships and additional scripts. Starter apps: Get started more quickly by choosing one of the 6 new Starter apps. Add more functionality by connecting an Add-on Table to the app. Choose from apps to manage assets, contacts, content, inventory, meetings, and tasks. My Apps window: Launch any of your custom apps from one convenient window. Easily navigate to the Recent tab to find recently opened files, and the Create tab to find the new Starter apps. Group object selection: Easily modify, reposition, or resize an individual object within a group without first needing to ungroup all objects. Redesigned Layout mode: The Inspector, Fields tab, and Objects tab are more discoverable through convenient panes inside the document window. Hide or show panes individually. Default fields: When adding a new table, fields are automatically created that display record creation information. Fields include primary key, creation date, modification date, and who the field was created or modified by. Default fields can be customized as needed or preconfigured beforehand. Scripting enhancements: Create more reusable code with enhanced script steps. Add a variable in an input field to populate and retrieve text with support for variables in the Show Custom Dialog. And use the new Specified option to select a script from a list or specify the script name by a calculation. Multiple email attachment support: Attach multiple files to an email message to have more flexibility in communicating with your customers or team. Copy and paste custom menus: Save time by reusing custom menus in other apps you create. Just copy menu sets, menus, and menu items and then paste them into another file. Account lockout: Protect your custom apps against brute force and dictionary attacks by temporarily locking an account after a few sign-in attempts. Work while reconnecting: If you lose your network connection, continue working with files that don’t depend on that host while the connection is being restored. Start quickly: Create precisely the app you want using the intuitive graphical interface, flexible design tools, built-in Starter apps, and ready-to-use themes. Import existing data: Bring your existing data into a FileMaker app. Import data types such as .CSV, Tab, XML, ODBC, and Microsoft Excel files. Built-in reporting tools: Easily make summary reports, colorful charts, and executive dashboards using built-in reporting and charting tools. Save your information in popular Excel and PDF formats. Out-of-the-box security: Centralize your information and safely access data using proven encryption standards. Manage group or individual user privileges — even for a single field. Integrate with other programs: Connect with other popular apps and web services through powerful REST APIs. And create live, 2-way connections with Microsoft SQL Server, Oracle, MySQL, PostgreSQL, and IBM DB2 data sources. Script Debugger: Instantly pinpoint problem areas in scripts and Script Triggers directly in the Script Workspace. Turn off Script Triggers when debugging to fine tune the troubleshooting process. Data Viewer: Monitor fields, variables, and calculations while troubleshooting. Database Encryption: Enable AES 256-bit encryption to protect data on FileMaker Cloud, FileMaker Server, or on a FileMaker client. Custom Menus: Create, change, or delete specific menu items or entire menu sets. Custom Functions: Build your own functions and copy, paste, or import them into any FileMaker file. Database Design Report: Run comprehensive reports on all elements of your database schema. Kiosk mode: Build applications where all menus are hidden. Custom apps created using FileMaker Pro 12 and FileMaker Pro 12 Advanced (minimum) and later can be opened and used with FileMaker Pro 17 Advanced. 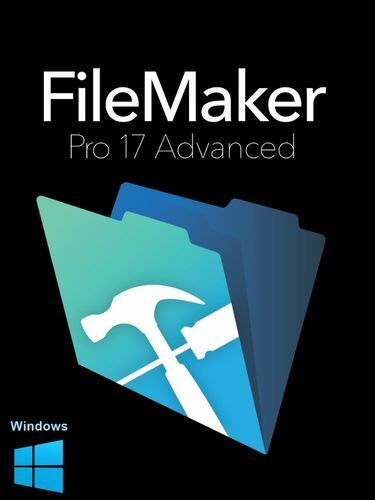 The latest updates must be applied to the above software before hosting FileMaker Pro 17 Advanced apps. 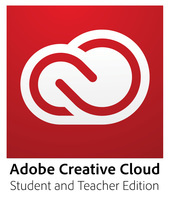 *Version stated is the minimum requirement. FileMaker Pro Advanced may also work with later operating systems certified by FileMaker, Inc. Operating systems not listed in the table above have not been tested and are not supported. *At this time, only the above clients are supported by FileMaker, Inc. Other clients may work as expected but they have not been tested for use with FileMaker Pro Advanced and are not currently supported. Networking Peer-to-peer sharing is limited to 5 simultaneous client connections in addition to the host; each client requires a licensed copy of the software. Use FileMaker Cloud or FileMaker Server for increased security options and sharing capability. Microsoft .NET For Windows, FileMaker Pro Advanced and runtime solutions require Microsoft .NET framework version 4.6 or later. ODBC and JDBC Client Drivers Learn more about installing drivers to enable ODBC and JDBC clients to access FileMaker Pro Advanced data. Supported email applications FileMaker Pro Advanced can Send Mail via an email client application. To do so, you must have a supported email application installed and configured properly on your computer. See a list of supported email applications.